Through an open letter, the main complainant in the sexual harassment and assault allegations against former UBC creative writing Chair Steven Galloway is calling on the university to ban student-teacher relationships. She also reiterated the call for the full release of a 2016 independent investigation’s findings, having only received a redacted copy in February 2017. The main complainant (MC) in the sexual harassment allegations against former UBC creative writing Chair Steven Galloway is calling on the university to ban student-teacher relationships. She also reiterated the call for the full release of a 2016 independent investigation’s findings, having only received a redacted copy in February 2017. Galloway was suspended with pay from the university in November 2015 amidst “serious allegations” that garnered significant media attention. Galloway’s termination sparked a debate about power imbalance in student-teacher relationships and due process, with over 80 prominent individuals in the Canadian literature community signing an open letter criticizing the university’s approach. Most recently, Galloway received $167,000 in damages from UBC for privacy breach following an arbitration process. The UBC Faculty Association also filed another grievance about Galloway’s termination, but this was withdrawn in February 2018. Anna Maxymiw, a former UBC creative writing student, also said on Twitter today that she was “the woman who reported being slapped” in the sexual harassment and assault allegation against former UBC creative writing Chair Steven Galloway. i'm the woman who reported being slapped by my former thesis advisor. for three years, i've sat quietly back and watched some of my literary idols tell the internet that i deserved to be slapped, or that the slap was a game or a bet. 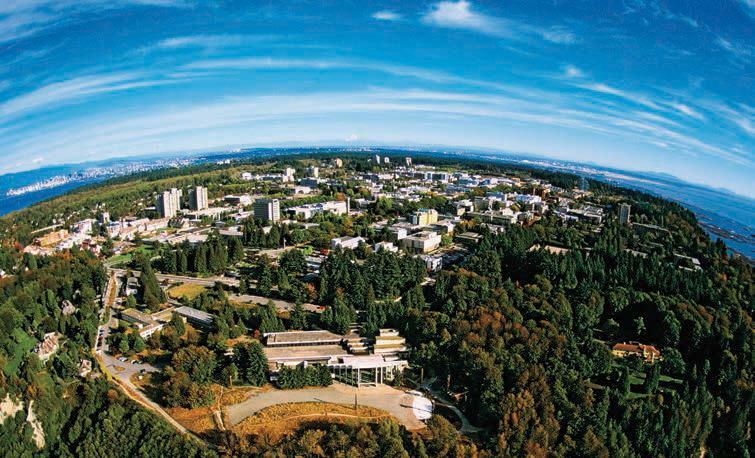 Now, in an August 29 open letter published by Birenbaum, MC is urging UBC to ban student-teacher relationships — a policy that the university has considered at length before, but never announced a decision on. UBC’s current policy does not ban relationships between professors and students, but it does strongly discourage them because of associated legal and personal complications. “It is important for faculty to know if they choose this route they may be putting themselves at considerable risk because of the power differential between professors and graduate students,” reads an equity guide for students and staff. The letter says this policy is too weak and calls for a “bright line rule” — a clear definition of what constitutes unacceptable conflict of interest. “Students should not be put in the position of proving this obvious imbalance of power in sexual relations with professors on a case by case basis,” reads the letter. The letter also calls for the release of an unredacted copy of the investigation findings to MC. “MC is entitled to know whether Mr. Galloway was found to have sexually harassed her,” the letter reads. UBC and Birenbaum were not able to comment by press time. This article has been updated to better clarify Maxymiw’s allegation, Cran’s background and Boyd’s findings, including the nature of Galloway's relationship with MC.